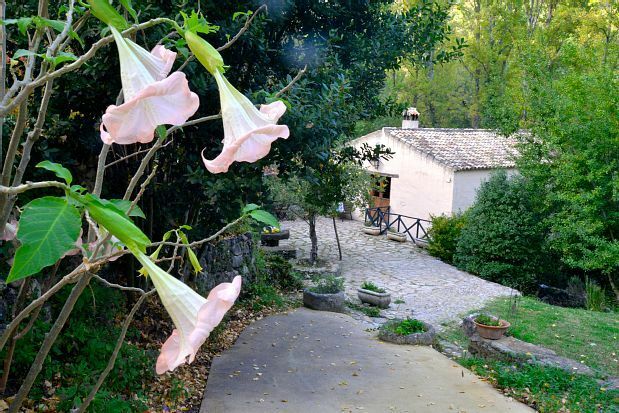 House and farm in the center of the Grazalema Natural Park, is centered for the different towns, both El Bosque and Ubrique, as well as Grazalema and Ronda. Old water mill that was used to fill the wool. It has been rehabilitated trying to preserve its structure and initial appearance as faithfully as possible. It is located at the foot of the Majaceite River and the farm has more than 4 different water sources, with ditches that run through the farm. Hemos pasado un fin de Semana rodeados De Fuentes, arroyos, acequias y aves que rodean la casa de El Batan. Batan significa molino de agua para abatanar la lana, por ello está a orillas Del Río del Bosque. Muchas Gracias por sus comentarios,ustedes han sido unos huéspedes ejemplares, encantados de tenerles de nuevo con nosotros.